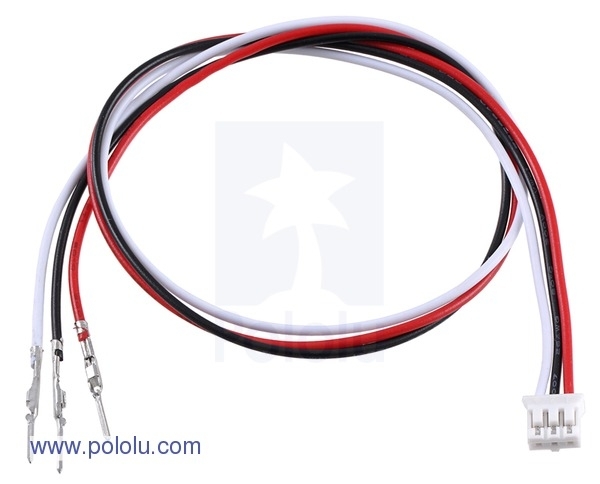 This 12-inch (30-cm) cable has 26 AWG wires with a 3-pin female JST PH-style connector (2 mm) that mates with the connector on 3-pin Sharp analog distance sensors, such as the 4-30 cm GP2D120, the 10-80 cm GP2Y0A21, and the 20-150 cm GP2Y0A02. The other ends of the wires are terminated with male crimp pins that are compatible with our 0.1" crimp connector housings. The wire color scheme matches the Sharp distance sensor pinout: red for power, black for ground, and white for signal. 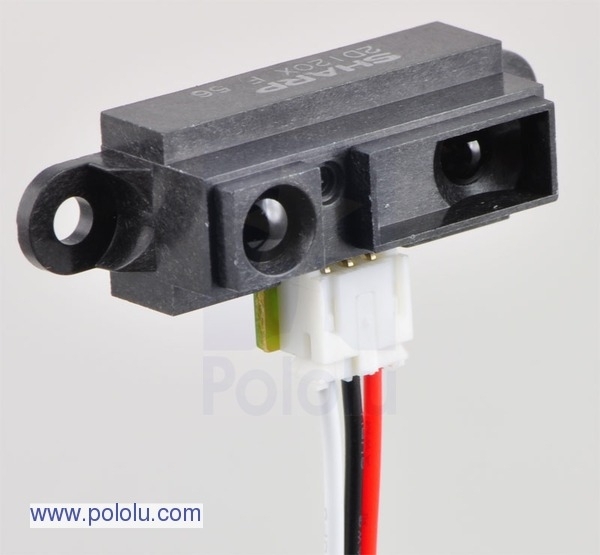 You can use our 0.1" 3×1 crimp connector housing to make a connector that is compatible with standard 0.1" female headers included with many electronics boards. 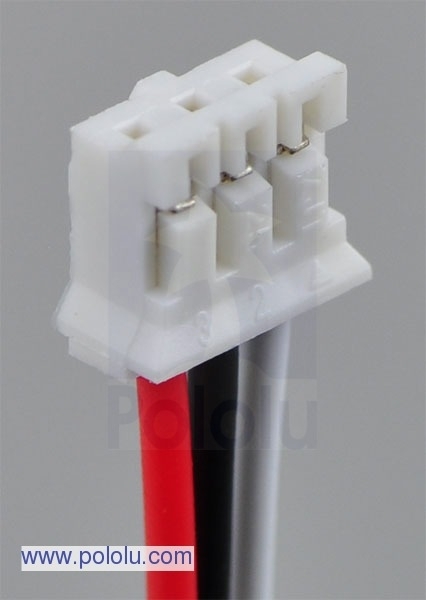 We carry a version of this cable with pre-crimped female pins (for use with 0.1" male headers). We also carry a version with unterminated ends for use with custom connectors.